Our attitude is focused on exceeding our client's expectations; a “Golden Rule” customer service company. State-of-the-art equipment, quality control procedures, and precision manufacturing. We have extensive experience in design, fabrication, and construction. With over 100,000 sq.ft. 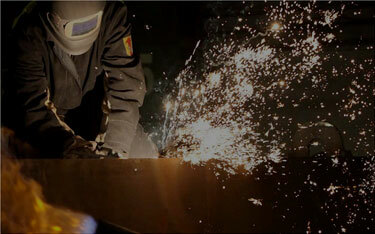 for fabrication space, our facility is poised to scale to any project requirements. Find us at NISTM Orlando! Welcome to ATEC Steel! We are a full service industrial contractor specializing in the design, fabrication, construction, and testing of field welded above ground storage tank construction per API 650/620 and AWWA D100 standards and specifications. Related services such as tank foundations and painting are also provided. In addition to field welded above ground storage tanks we also provide shop built tanks and ASME pressure vessels. We strive to bring you the most convenient method for requesting a quote, by streamlining our process. Please fill out our request a quote form and we'll get back with you as soon as possible.